Don’t be intimidated when you discover you’ve been assigned a thematic essay. You’ve probably written dozens of thematic essays already—they’ve just been called other names, such as research essays, critical essays or analytical essays. 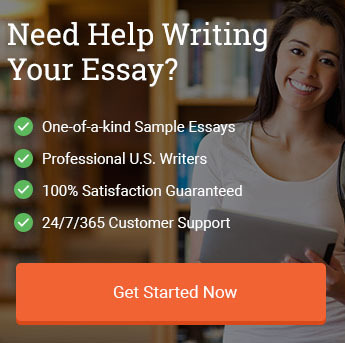 This is not to say that a thematic essay is identical to those essays just named, just that teachers are often inexact with writing assignments. A thematic essay is just a fancier name for an essay that discusses a concept, phenomenon or… theme (hence the name). This type of essay requires that you use all the skills from previous types of essays that you’ve already honed. These skills include writing in an organized coherent manner, finding and presenting evidence, and defending a thesis. A thematic essay only asks you to draw upon the skillset you already have. Some teachers will use the word “thematic essay” strictly in regards to an assignment on literature. Other teachers will use the term to refer to any essay that revolves around a particular theme or subject in any arena of life. For the assignments given by teachers that believe that a thematic essay can only be about a literary device, you will need to focus on a literary device or motif in a specific poem or novel. For example, you will need to select a device like hyperbole, metaphor, imagery, or symbolism and create a thesis around it. So a thematic essay topic might be How does George Orwell use symbolism in Animal Farm in order to give voice to his political beliefs? A thesis on this topic would be: Orwell uses symbolism as a tool to fuse artistic motives with a political agenda. Similarly, you might need to take a motif present in the literature and build a thesis around it as well. This motif might be something like lost love, success, adversity, hubris, self-knowledge, human fallibility or some other trend. A common such topic might be How does Shakespeare use the bloom of young love to sow the seeds of tragedy in Romeo and Juliet? A thesis on this same topic would be that Shakespeare repeatedly demonstrates the presumed infallibility and mental superiority of youth as means of creating the scaffolding for the tragedy to later unfold. A savvy student will be able to select a literary device or motif inherent within the text and be able to craft an original thesis. Subsequently, the student will need to be able to show that they can prove this thesis using evidence from the text in a coherent manner. However, more and more teachers seem to be assigning thematic essays that don’t concern literature, and that’s fine. Educators have begun to increasingly connect thematic essays with social challenges at various points in human existence. This creates a steeper hill for the student to climb because it means that research can be more daunting. Similarly, creating an original thesis can be more intimidating as well. Bear in mind that your reader might not view the issue for your thematic essay in the same way that you do. So all your evidence has to be super tight. Thematic essays can ask you to reflect on sensitive social issues, so be certain to avoid loaded language that might insult readers who disagree with you. Keep your word choice elegant at all times. Be certain to cover all the critical concerns in connection with the thesis while maintaining a focus on your central argument. #1. Select the greater topic that encompasses your thematic essay. For instance, if you’re writing about self-reliance in the short stories of Hemingway, your topic might be independence or freedom. If you’re writing about servant exploitation in Victorian England, your greater topic might be abuse or unprofessionalism in the workplace. #2. Craft your hook selecting a quote, statistic, fact or anecdote about your greater topic. #3. Connect your greater topic to the narrower topic that your thesis will focus upon and discuss in the two to three sentences. #5. Draft three separate topic sentences for each of the supporting paragraphs you will provide. #6. Provide supporting details and evidence from history and primary sources to support each topic sentence. #7. Restate your thesis in a non-repetitive manner. Recap your major points in a final paragraph using new vocabulary words. Connect your perspective to a bigger picture issue in society. While experienced students might see writing an outline as merely extra work, crafting an outline can really provide greater clarity. An outline offers you the guidance of self-made GPS. For more complex thematic essay topics, they can offer a world of good. 1. Hook regarding the intrigue of Voodoo. 2. Two-three background sentences on voodoo and Haitian voodoo. 3. Thesis: voodoo practice helped expel the French from Haiti. 4. Supporting Paragraph 1: voodoo offered the slaves strength during their suffering. 5. Supporting Paragraph 2: voodoo offered the slaves an alternate reality to tap into during their enslavement. 6. Supporting Paragraph 3: voodoo offered the slaves a sense of metaphysical agency, which they needed in order to feel empowerment. 7. Restate thesis in concluding paragraph: voodoo offered Haitians tools to overcome slavery as well as to protect themselves from slavery’s destruction. 8. Recap main points in concluding paragraph with fresh vocabulary. View or Download this template in word (.docx) or PDF (.pdf) format. Introductions can be a bit more formidable to write as they need to serve a variety of tasks at once. It must capture the reader’s attention, acquaint them with the broader topic, transition to the more specific topic of the essay and end by restating a strong thesis. If you find yourself stuck, you can always just map out your thesis and then return to the introduction later. Returning to the introduction later when you’ve finished your paper and have a greater sense of clarity can make it much easier to write. The most crucial thing to bear in mind when it comes to writing the introduction is that you get the reader on the same proverbial page as you. This way the reader will be in the best place to judge and assess your thesis. 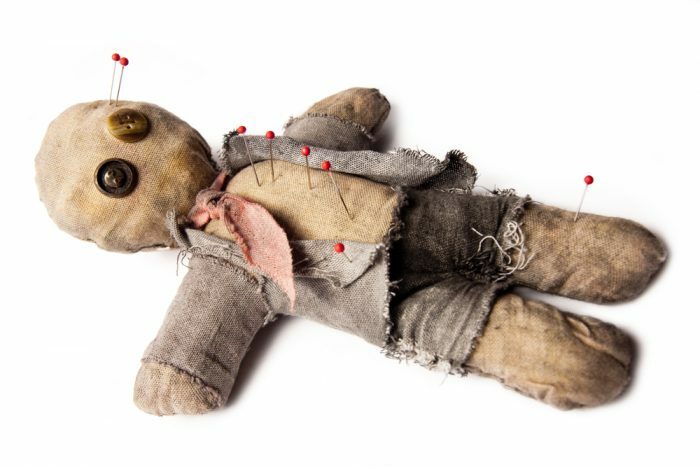 Imagine jamming a pin straight into a voodoo doll while repeating some incantation. This is the first image to come to mind when people think of voodoo—as something foreign, dangerous and slightly wicked. However, many people don’t know that voodoo was responsible in part for emancipation and empowerment. For many native Africans, being enslaved meant being stripped of their culture and religion, which suggested voodoo had to be practiced in secret. The unique qualities of voodoo and the secret aspect of the religion meant that it assisted the first Haitian slaves to wage war against their colonial masters to assert their independence successfully. To this day, the Civil War remains one of the only wars where Americans fought against other Americans. While the Civil War is often described as the war that freed the slaves, this isn’t entirely accurate. This war involved the northern states, which had begun to industrialize, fighting the southern states, still clinging to their agrarian lifestyle. As the Montgomery Daily Confederation stated in 1858, “Ours is an agricultural people, and God grant that we may continue so. We never want to see it otherwise.” In many ways one could argue that the Civil War was a war of antiquity versus modernity. The body of a thematic essay is where you do your heavy lifting. This is where your topic sentences have to be strongest. Body paragraphs must demonstrate your abilities to research, gather evidence, organize evidence and engage in savvy analysis. Every topic sentence needs to be supported by evidence. You may write your topic paragraphs in a particular order initially, but then find that it’s better they be rearranged. Sometimes your second paragraph should be first. Other times the last paragraph is better in the middle. When you finish, take a few minutes at the end of our essay to double check the order of your body paragraphs. Make sure all the ideas flow nicely, one from the other. Voodoo helped to connect slaves from various plantations around Haiti together in unity under a single belief system. The Bois Caiman ceremony is the event that initiated the Haitian revolution and amounted to the slaves meeting together to finalize their plans and offer transparent instructions. “The Bois Caïman ceremony takes place in a thickly wooded area where the slaves solemnize their pact in a voodoo ritual. The ceremony is officiated by Boukman, a maroon leader and voodoo priest from Jamaica, and a voodoo high priestess. Various accounts from that night describe a tempestuous storm, animal sacrifices, and voodoo deities” (brown.edu). In this case, voodoo helped to connect members of various groups in Haiti and act as a galvanizing ritual to increase forward momentum. Voodoo provided a sense of unity and connection and assisted all participants in feeling a palpable surge of self-empowerment. People forget that there were various rebel forces in Haiti at that time, but voodoo was a connector and emboldened them to fight side by side. Voodoo allowed the slaves to feel a sense of mental and spiritual escapism. Even under the nightmarish conditions of slavery and the rigid prohibitions in place, voodoo was one of the few areas of complete autonomy and independence. “As a religion and a vital spiritual force, it was a source of psychological liberation in that it enabled them to express and reaffirm that self-existence they objectively recognized through their own labor” (brown.edu). Voodoo gave slaves the ability to escape psychologically from the nightmares that existed for them and view themselves with a certain amount of autonomy. One could easily argue this sense of inner freedom allowed them to survive their monstrous conditions. Voodoo gave them a spiritual place to escape to. Voodoo provided Haitian slaves with a sense of metaphysical agency during their captivity. During this time, so much of their lives were stifled and their freedom ensnared. For so long, there was little that Haitians could do by physical means to fight for their lives. However, the parameters of voodoo meant that Haitians felt they had some power to harness within the spirit world. For example, Haitians contact and connect with the Loa, sacrificing chickens and other animals to the spirits, so they can refurbish the Loa with this life energy (Guynup, 2004). The spirits are relied upon for advice, assistance with problems, health issues. The Loa can offer guidance, warnings, prophecies, or sometimes even communicate through dreams. All of these elements as one would clearly understand, helped the Haitians to feel less helpless and victimized by their conditions. Writing your conclusion means you’re in the home stretch. If you need to take a minute to close your eyes, do it. If you want to stand and walk around to refresh your brain, do it right before you write the conclusion. Even though the bulk of the heavy-lifting of the essay is done, you still need give closure to the reader. Don’t feel pressured to go over every point or piece of evidence as that will just be overwhelming. Offering your reader a strong reminder of the most important parts of your essay will help complete the general sense of ending. 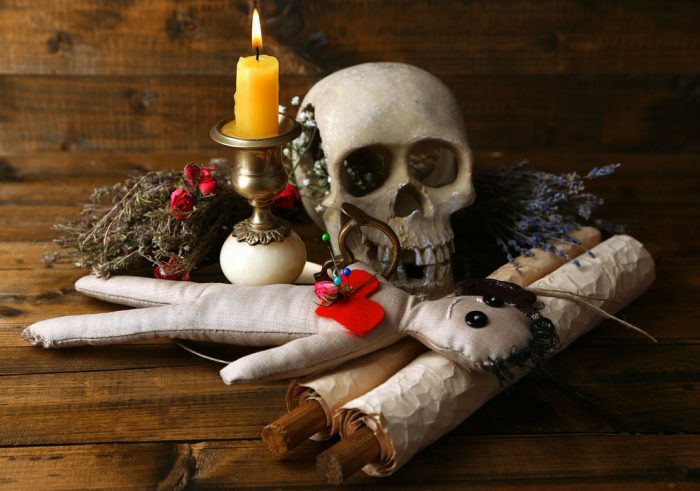 Voodoo gave Haitians a metaphysical way out of the grotesqueness of their reality, through the connection to the spiritual world. The monstrosity of slavery in Haiti meant that Haitians were subjected to the evils of colonialism and the most inhuman living conditions. Voodoo helped to subvert this reality—at least in thought and in mental processes by giving Haitians another reality to connect with. In terms of connection, Voodoo was also able to unite all the rebel units of the nation to fight against the colonists together so they would be stronger and ultimately successful. Finally, Voodoo gave Haitians a sense of agency and power via the spirit world against their powerlessness in the physical world. Voodoo is the magical alternative that humans look to when their physical reality does not offer any other options. Discuss how was the notion of brotherhood subverted in the Civil War. Describe how the Civil war was a manifestation of tradition versus progress. Progress is Pain: Describe how Upton Sinclair’s The Jungle reveals this idea. Our past creates our present: explain how the Roaring Twenties sowed the seeds of the Great Depression. Discuss how isolationism during World War Two, as a U.S. policy, acted as an enabler of monstrosity. Examine how the theme of inferiority was revealed in Brown vs. the Board of Education. Discuss an alternative to a massive meteor to offer proof as to why the dinosaurs became extinct. The history of the elder: respect versus dismissal around the world. The cost of royalty: The tendency of human beings to create a royal class in both antiquity and modern times. Christianity and the modern world: the role of religion in developing civilized nations. Light skin versus dark skin and the myth of superiority: how Europe has used a lie to dominate others. Past horror and modern day trauma: the legacy of slavery in our present. Discuss how the notion of inherent superiority enabled feudalism. Describe how Confucianism is exhibited in today’s world and the factors that influence it most. Discuss the factors of the information age that have provoked a reemergence of Taoism in the west. Discuss the importance of the Tigris and Euphrates rivers in fostering the richness of the Fertile Crescent. Describe how China’ Great Wall has shaped its culture from the time of its construction to today. Communism and a stable economy: Discuss the complexities. Describe the major motivating factors in improving the lives of children in America from the 1700s onward. Willful denial: why it is dangerous to deny the Holocaust. Truth and forgiveness: discussing reparations for slavery to black Americans. The damage of separation: how segregation was destructive for both black and white Americans. Inclusion and acceptance: Trends in LGBT rights in America through the decades. Ordinary heroes and the civil rights movement: Discuss. Hitler’s nationalism and the attempt to exterminate: reexamine the Holocaust. Forging an identity: nationalism and the American Revolution. Nationalism and nuclear weaponry: discuss the connection. Nationalism versus patriotism: describe the crucial nuances that offer distinction. Sustainable clean energy and US Foreign Policy: How will one impact the other? The Failures of US Foreign Policy on preventing narcotics from entering the country: Factors at hand. Cold War policies and their reverberations today. Why did the Truman Doctrine have such an impact on US Foreign Policy? US Foreign Policy’s Massive Influence around the World: How it impacts how others live around the globe. The era of Terrorism and US Foreign Policy: A Dynamic of Complexities. Coastal Erosion: Discuss the influence of the human footprint. The Tsunami of 2011: Main repercussions on Japanese life. Urbanization: Why certain areas thrive. The creation of the Grand Canyon as a metaphor for America. Rugged individualism and the development of young America. California as the land of gold and the westward expansion. Human sacrifice and Ancient civilizations. The age of terrorism and the fear of Islam: discuss the connection. Religious rivalries in antiquity and modernity: their impact on human behavior. Witchcraft in Colonial America as a galvanizing force. “Whosoever desires constant success must change his conduct with the times” thus spoke Machiavelli. “People don’t resist change. They resist being changed!” according to Peter Senge. These two sentiments aptly summarize America during the time of the Civil War. The North, understanding that progress was crucial, was heavily invested in moving forward with industrialization and experimenting with greater social equality. The South clung to its agrarian ways—a lifestyle that was directly dependent on the availability of chattel slavery. 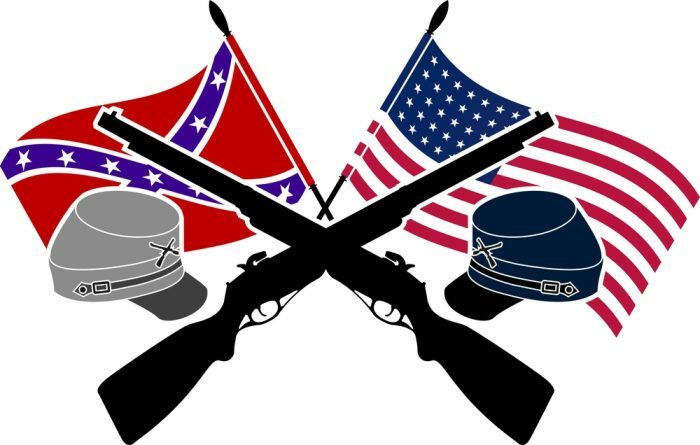 The Civil War was about many things: a new country finding its voice, an eruption between two different interpretations of morality, but perhaps most acutely, the Civil War was a conflict of tradition versus progress. Much of the eruption of the initial conflict of the Civil War revolved around the southern states’ resistance to the transition that was already underway. In the 1800s, America was founded in an economy completely dependent on agriculture. Midway through this century industrialization seeped in, though exclusively north of the Mason-Dixon line. “In 1860, the South was still predominantly agricultural, highly dependent upon the sale of staples to a world market. By 1815, cotton was the most valuable export in the United States; by 1840, it was worth more than all other exports combined” (Arrington, 2018). While this was all well and good back then, it also paints a picture of a precarious economy. An economy dependent on one export is inherently weak and vulnerable (this is later seen firsthand in how devastated and impoverished the south was at the end of the Civil War). Furthermore, this agrarian economy was supported by isolation: the south lacked the infrastructure necessary to make the region strong. Only a third of the nation’s railroad tracks existed there and only slightly more than 10 percent of the nation’s banks. It was as if the south was already cut off from the rest of the nation. This isolation persisted not just in practice but also in the physical world—and it seemed they wanted to keep it that way. The South’s general disconnect was not founded in an economic hardship, but in a dogged allegiance to an antiquated, outdated and generally archaic way of life. The south had access to enormous amounts of wealth and nearly all of it connected to the slave trade. “In 1860, the economic value of slaves in the United States exceeded the invested value of all of the nation’s railroads, factories, and banks combined. On the eve of the Civil War, cotton prices were at an all-time high. The Confederate leaders were confident that the importance of cotton on the world market, particularly in England and France, would provide the South with the diplomatic and military assistance they needed for victory” (Arrington, 2018). However, the south soon realized the fallibility of these presumptions. The free market economy of the north soon showed its consistent superiority in being able to offer supplies and reinforcements to the troops. The enragement that southerners felt regarding the Emancipation Proclamation demonstrated in part how they felt about their slaves and how they felt about their existence. Abraham Lincoln decreed the Emancipation Proclamation during the third year of the Civil War: this had both moral and strategic intents. By shifting the focus to morality, Lincoln made the war about the sanctity of human freedom. This reframed the southern states as clinging to immoral lifestyles that relied on evil in order to exist. Strategically, it meant that there would be more support for the northern armies, now from the newly freed slaves. The Emancipation Proclamation threatened the very existence of the southerners’ lifestyle and the existence of the southerners themselves. Their fury at this proclamation showed how committed they were to this antiquated way of life. All these factors considered, the Civil War can be viewed as the consequences of a nation that has not progressed in a united fashion, and which remained divided. One side is still gazing at the past, the other gazing at the future—and working steadily towards it. The change towards industry was already happening during the time, and still the south resisted and fought against a transformation that was inevitable. Clinging to ways that were both evil and selfish, the south fought a war it never had a chance of winning. Historical documents like the Emancipation Proclamation only served to infuriate the south, yet shed light on the nebulous dynamic the South had with the old order. The old lifestyle and its inhumane mentality was actually something that enabled their own grotesque behavior. Part of the South’s allegiance to this outdated way of life was founded in their laziness, complacency and sense of superiority. Their behavior serves as a severe cautionary tale in regards to the dangerous side of human nature and the willfulness of denial. Thematic essays test your ability to craft an original essay along the confines of a concept or trend surrounding an event in history or a piece of literature. Brainstorming a thesis that is out of the box can be exceedingly challenging. Moreover, finding the most compelling evidence to support that thesis in three distinct paragraphs can feel impossible at times. A company like ours is here if you need inspiration to get unstuck, or want someone to take over the proverbial wheel of your essay. We have writers who have crafted hundreds of these essays, and they’re never at a loss for original ideas. Moreover, our writers are familiar with how most teachers grade and important essay factors they’re looking for. A sample essay from us can be that guide you get to hold onto for the rest of your academic career that you can always return to for clarity. A thematic essay might seem like a different kind of beast, but it really is the same animal that you’ve seen before and mastered. A thematic essay essentially asks you to craft a narrower and more specific thesis along the confines of a precise concept or trend. Once your thesis is crafted, all you need to do is write an essay according to the form you’re already used to. The challenge is usually less often about crafting the essay coherently and more about finding original ideas to use to support your work. Give yourself the freedom to brainstorm and come up with innovative directions to take your essay in. And we are here if you need us. "How to Write a Thematic Essay (2019 Edition)." Aceyourpaper.com. Student Network Resources Inc, 23 July. 2018. Web. 18 April 2019. Student Network Resources Inc. "How to Write a Thematic Essay (2019 Edition)." Aceyourpaper.com. 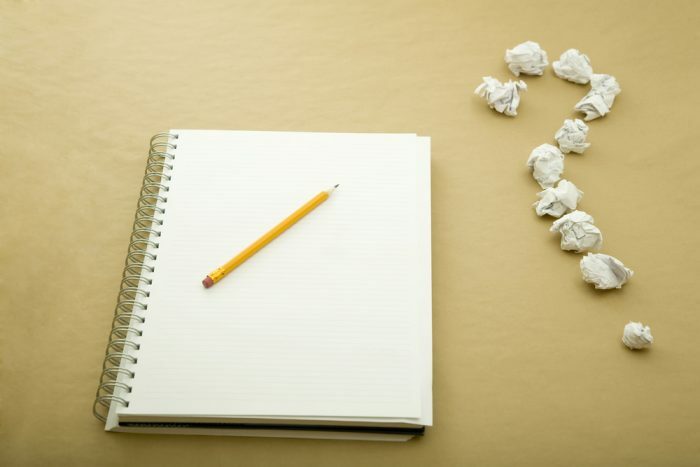 https://www.aceyourpaper.com/essay-writing/thematic-essay/ (accessed April 18, 2019).